I like anything that’s cute, fun and slightly quirky so if ever I needed a reason to relocate to France, this may be it. 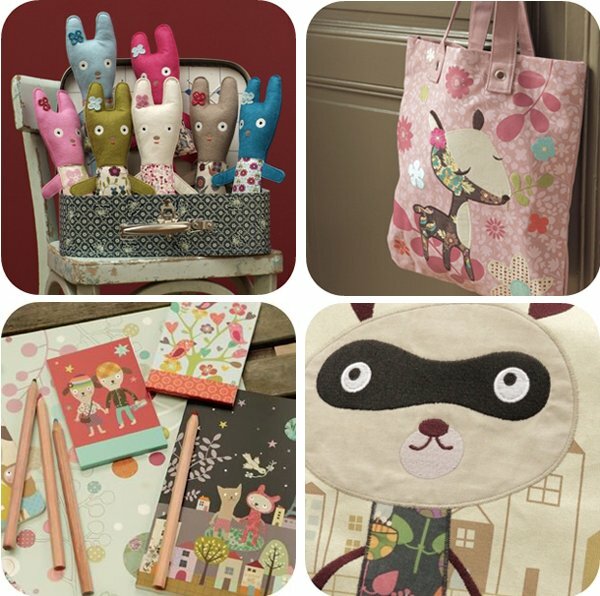 Hailing from France is the label Mini Labo and all their products fit my strict criteria of cute, fun and quirky. They have all bases covered in their collection, with soft toys, classic children’s games of Memory and Dominoes, bags, soft furnishings and even books and stationery. I’m loving pretty much everything they offer because there’s something for everyone – I’m a tad partial to their deer bag (pictured above) myself. The designs and illustrations are really beautiful, whether on their children’s games or a photo album – things you’d much rather have on display than hiding in the back of a cupboard somewhere! You can find a selection of Mini Labo goods at French Bazaar with delivery available Australia-wide.